Our contemporary sinks are made of durable, corrosion resistant, 18-gauge premium grade T-304 stainless steel construction. 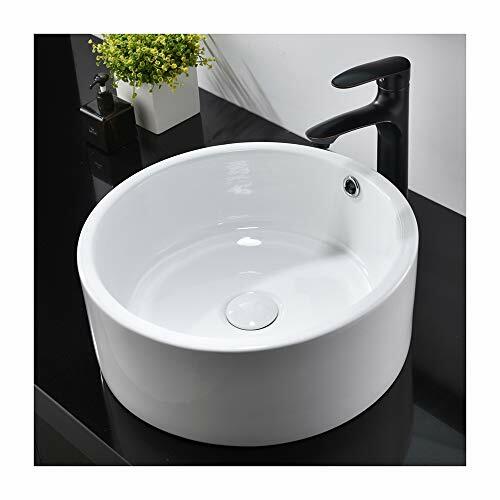 It's modern single bowl design is scratch resistant and perfect for any countertop. - 3 1/2" drain opening, compatible with most garbage disposals available on the market. If there is any questions about product,please feel free to contact us, we'll reply to you as soon as possible in 24 hours. Warranty!! 90-day Money Back Guaranteed-When you order today, you're protected by a 100% money back guarantee and a free no hassle lifetime replacement warranty!